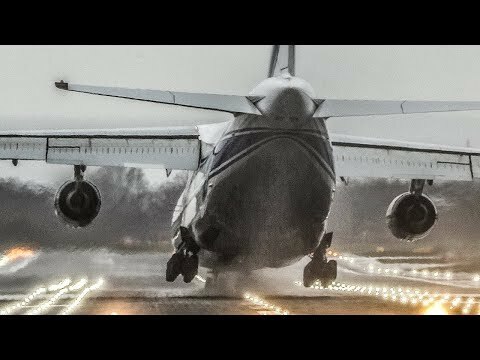 An-124 CROSSWIND LANDING with the FRONT GEAR FIRST - Antonov Landing during STURM FRANZ (4K) | Оценка: 5! 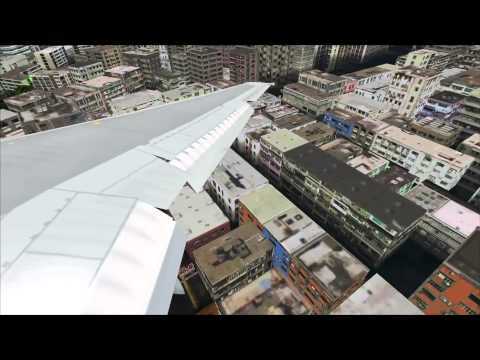 This was definitly the craziest landing I filmed since the Emirates Airbus A380 at DUS a year ago. At first the Antonov An-124 of Volga Dnepr which arrived empty from Moskau appeared like a normal landing but immediatly after the front gear touched the ground the main gear went up again and due to the crosswind it floated slowly to the right. Although many pilots probably would have initiated a go around the AN-124 crew just didn` t care and placed the main gear on the ground. I filmed this today at Cologne.